Quick Post: The best thing I can do for my husband is to have something ready for him in the morning – the less he has to think, the better. Hopefully the cinnamon-sugar coating wont make too much of a mess 🙂 These turned out ok – a little dry, but that could be due to the small amount of oil in these. 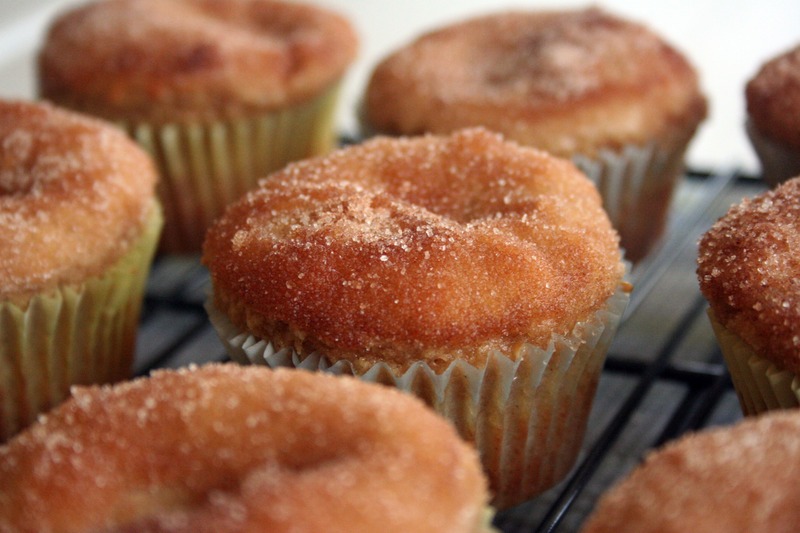 The flavor isn’t all that great either – they’re a little bland, but the sugar and cinnamon topping is a nice treat. I bet these will be perfect with our morning coffee though. M likes his sweet, flavored creamers and I prefer half and half with vanilla sugar; and eating one of these wont compound the sweetness of our morning joe. I’ll have to try PW’s french breakfast puffs soon – they’re similar to these but probably much more decadent 😉 Thanks for reading, enjoy! While the muffins are baking, melt 1/2 stick butter and place in a bowl just large enough to hold a muffin. Combine ½ cup of sugar and 1 tsp. cinnamon in a small, shallow bowl. 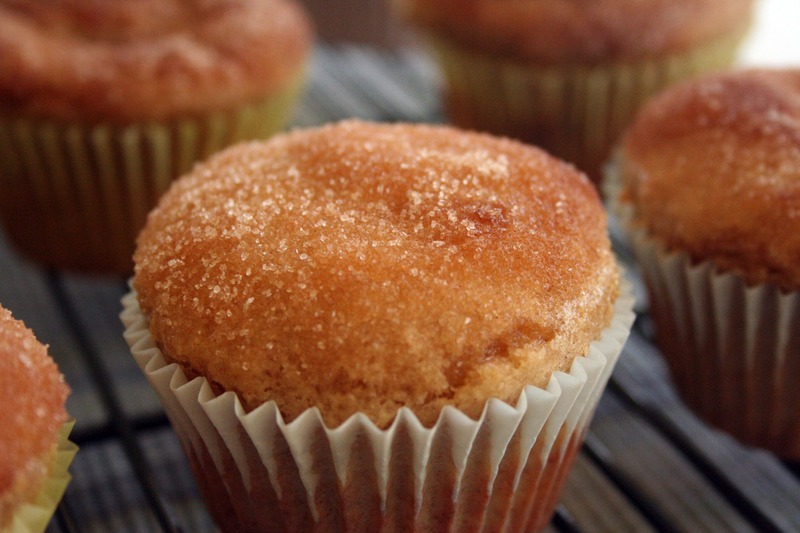 As soon as the muffins are done, dip them one at a time in the melted butter and then roll in the sugar mixture. Set on a rack to cool. I’ve noticed that wordpress seems to go in trends, cinnamon seems to be a bit of a trend at the moment… They look bloody divine by the way.